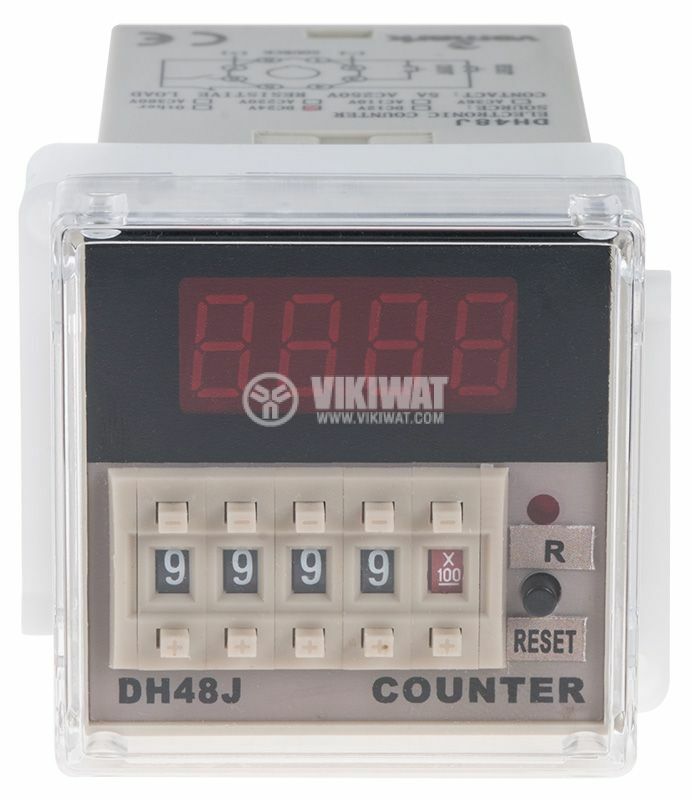 The device is designed for use in production process automation systems. 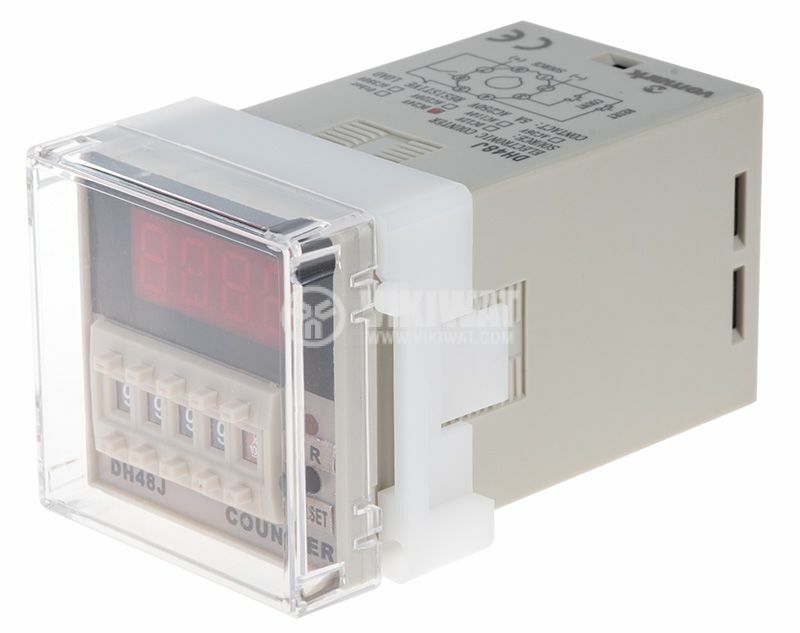 It operates in the collection mode, from 1 to 999900 pulses, and the NPN sensor or mechanical switch can be connected to the input. The assignment is done with BCD encoder and multiplier, NO contact is reached when the set value is reached. number of leads - 8 pins. The device has built-in and external mechanical RESET.